Thank you for visiting our website and welcome to our 30th season! I feel like it was just yesterday, when at four years old, I was sweeping the driveway with my dad, and my Uncle John pulled into the driveway with his girlfriend (a dance teacher) Nancy. They called me over and asked it if I I wanted to take dance lessons at Miss Nancy's studio. I said YES! and fell in love with the art of dance! In my dreams, I imagined that someday I would own my own studio and in 1989, at 17 Webster Square Road in Berlin Connecticut - that dream came true. Recently one of our four year old students asked her mom this question - 'Mommy does your heart ever crack? Because when I dance I just get so much joy and it bursts like a piñata.” “I love it." What an amazing description! At Dance Step, we provide a creative, and challenging learning community for our students. We look forward to welcoming you! Below you will find information about our staff. Please look around our site to find out more about us and reach out with any questions you may have. Maria is a graduate of the Hartford Conservatory of Music and Dance. She is currently National President of the National Association of Dance and Affiliated Artists (NADAA) having previously served as Vice President and President of NADAA Greater New England Chapter. Maria is a Qualified Member with Cecchetti USA (CUSA) and is on the National Committee. She has been rehearsal mistress at CUSA's International Summer School and continues her studies toward licentiate. ​Maria has taught master classes throughout New England and was previously on the faculty of University of Hartford. She has studied with unique and talented dancers such as Jacqueline Anderson, Betty Seibert, Richard Gladstone, Claire O'Donnell, Savion Glover, Debbie Dee, Diane Walker, Frank Hatchett, and Bob Rizzo. 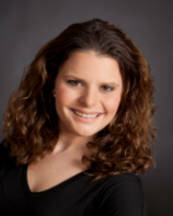 Angie Tordonato is a graduate of Dean College with a Bachelor of Fine Arts. She is currently Chairman of the Board of the National Association of Dance and Affiliated Artists (NADAA) and Vice President of the NADAA Greater New England Chapter. Angie began her dance career at the age of 12 and continues to share her passion and love for dance where it all began - here at Dance Step. She has been on faculty since 2000. Angie studied and passed numerous Cecchetti exams. Angie coordinates and organizes community performances for Dance Step to engage the students in sharing their passion for dance. Angie has studied with extraordinary dancers such as Debbie Dee, Ted Levy, Diane Walker, Corey Hutchinson, Bob Rizzo, Keith Leonhardt, Frank Hatchett, Kelly Bolick, Caitlin Grey, and Savion Glover. Alison Durham began dancing as a child and continued her dance education through college classes, and private ballet coaching from Jacqueline Anderson and Betty Seibert, Cecchetti USA Examiners. Her ballet training led her to passing the Enricho Cecchetti Final Diploma, an accomplishment that not many have received. She also has her Associate Teaching Certificate through Cecchetti USA. Alison is trained in Ballet, Pointe, Tap, Jazz, Modern, Contemporary, Hip Hop, Pilates, and Acrobatics (certified through Acrobatic Arts) She has taught a variety of classes around the state and workshops around the country. Her students have been successful in passing their Cecchetti Ballet Examinations from the beginner levels, all the way through the professional levels. She is exited to be a part of the Dance Step faculty and share her love of dance! Esther is a graduate of Naugatuck Valley Community College with an Associate's Degree in Fine Arts and Certificate of Dance. Esther has been dancing since the age of five, and competing in dance since the age of nine, As an adult, Esther was chosen to perform with Earl Mosley's Diversity in Dance Professional Modern Company. She participated in the USA World Showcase televised talent competition and was awarded First Place in the Adult Dance Category. Esther has been on the Dance Step faculty since 2013. Alida Lamagna-Kendell began her dance training at Connecticut Concert Ballet. She studied at the Burklyn Ballet Theater in Vermont as well as the Briansky Ballet program in Hadley, Massachusetts for numerous summers. During the 2014-2015 season, Alida served as the Vice President of the University of Saint Joseph Dance Ensemble and was the President of the Ensemble during her final semester in college. Her choreography was performed in the annual 5x5 Modern Festival in both 2014 and 2015. She graduated in December 2015 with a BA in Psychology and Dance. In addition to her ballet background she has studied hip-hop, lyrical, jazz, contemporary, modern, and ballroom. Alida has been on the Dance Step faculty since 2016. 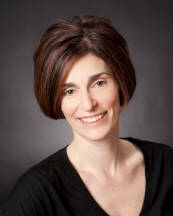 Karen is a vice president of the National Association of Dance and Affiliated Arts, Greater New England Chapter. Her varied dance career has included, passing numerous Cecchetti exams, Dance Educator for New Britain High School Physical Education department. Karen has choreographed and danced with Kiva Dance Collective. Karen is co-founder and director of Moving in the Spirit, a liturgical dance company that choreographs, presents workshops and performs movement as prayer. Karen returned to the Dance Step faculty in 2015. Jason began his training at the Harlem School for the Arts. In 2001 he moved to Connecticut where he trained at Footlights Center for Performing Arts and Connecticut Concert Ballet. He performed for three years with the acclaimed Hartford Stage "Breakdancing Sheakspeare' program. Jason continues his training with the Monsters of Hip Hop and Broadway Dance Center, NYC and is currently performing with the Ultimate Michael Jackson Experience. Elissa Woods is a nutritionist and yoga instructor. She graduated from University of Saint Joseph with a Bachelor of Science in Nutrition and Wellness. She received her yoga teacher training through the Vital Life Center and certified 200-RYT with Yoga Alliance. Elissa began her love of movement as a child while dancing at Dance Step. She has had a steady yoga practice for 9 years. Her 3 year yoga apprenticeship training and working with all body types and ages allows for Elissa to intuitively encourage mindful movements and breathwork. Elissa works with children of any age as well as adults.